Francis, in his first major interview as pope, spoke of his admiration for the early Jesuit Peter Faber, whom he would soon declare a saint. Since you can tell a lot about a man by his friends—including his friends in heaven—I began to read Faber’s spiritual diary, the Memoriale, to see what it might tell me about Francis’s spirituality. It was a revelation. I found in Faber a man who had many of the same vulnerabilities as me. He battled anxiety, depression, and temptations to sin. Learning how he conquered those weaknesses helped me to better fight my own spiritual battles. As I read those words, my heart tells me the saint was right to understand them as a message from the Holy Spirit. Note especially how the consolation points the saint toward a love that goes beyond feelings. 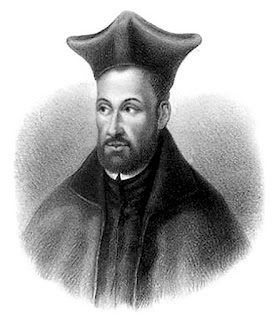 It would have reminded Faber of Ignatius of Loyola’s admonition in his Contemplation to Attain the Love of God: “Love ought to manifest itself in deeds rather than in words.” What matters most in love is not what we feel—because feelings can change—but what we will. In his longing for feelings, Faber had focused upon his own experience of love, rather than upon the object of his love—Jesus Christ. The words of the consolation remind him that, if his heart is truly to be a stable, it has to be empty of self. Faber’s words reveal the new level of maturity he is attaining under the guidance of the Holy Spirit. In light of the consolation he received at midnight Mass, he realizes that God wants to live in a constant exchange of love with him—an exchange that can take place only if he continually seeks to expand his heart. As the saint thinks about these two attitudes, he makes a fascinating connection: they both have to do with memory. “In the first we seek to have [God] remember us and assume complete care of us; in the second we seek to remember him and to be fully engaged only in what pleases him." With those words, the exchange of love that Faber has described is placed within the context of time—the days of our lives. 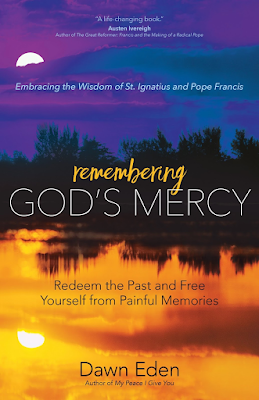 God loves us by remembering us, and he demonstrates this loving remembrance through his providential care for us, as he brings the mercies that we are told are “new every morning” (Lam 3:23, RSV). We love God in return by remembering him, and we demonstrate our remembrance of him by offering ourselves to do his will. Where does this exchange of loving remembrance take place? Faber tells us it transpires when we practice recollection, a form of intimate personal prayer in which we find God’s presence dwelling within our heart. But he is keen to add that this recollection is not possible on our own power. To attain it, we need to center our prayer life on a concrete, even physical moment of encounter with God. We find that moment in our reception of Jesus in the Eucharist—Jesus, who entered into history in order to enter into our innermost being. 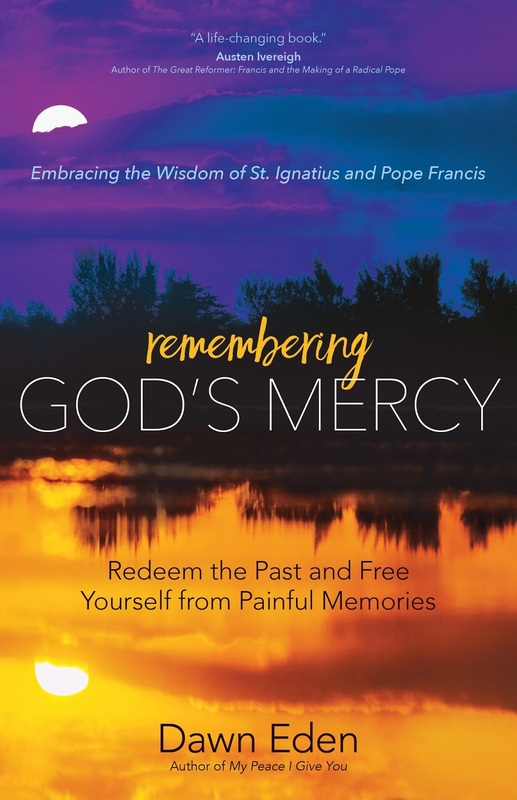 Excerpted from Remembering God's Mercy: Redeem the Past and Free Yourself from Painful Memories by Dawn Eden and adapted by the author for publication on New Advent. Used by permission of Ave Maria Press. All rights reserved. Great post - where can I get a copy of the Memoriale? I went on amazon and couldn't find it. Thanks! Thank you! This book contains the Memoriale in its entirety. God bless! two problems with associating "Love" with the will: a) we forget that the will is a fallen faculty too, as is our reason. We cannot will ourselves to heaven. We cannot will to do God's will because our will is too weak to do God's will, just as our intellects are too weak to fully comprehend a single word of God. In other words, "Love" is no more associated with the will, than it is with feelings - both are totally ineffectual to please God, or merit salvation. b)the will is just one faculty of the mind...and yet Jesus says we should "love God with our whole soul, mind, and strength"...in other words with our whole BEING. "Being" it turns out is the only thing we entirely share in common with God. His Eternal Omnipotent BEING and out mortal, damaged, being perfectly meet in Christ. I strongly recommend reading Blessed Duns Scotus to serve as a counter-weight to Thomas A Kempis and the Ignatians. Note to self: The Pasch of our Lord is canonically remembered in Spring (in the Northern Hemisphere, I daresay) because it reminded the early Church of the regenerative procession of the Holy Spirit. In much the same way that Abraham planted a particular tree in Beersheba, there calling on the name of the Lord, the Eternal One (Gen. 21:33). Second note to self: Lossky (in 'The Mystical Theology...') deals with the particular approaches of the eternal and undivided Holy Persons in such a way that assures his readers that he had actually met them in his own person. Third note to self: Spring sounds so much better than Vernal Equinox. Though both are technically correct of course!